Yesterday i wrote about ‘story listening’. Today, i want to reflect on just what stories are: who owns them, how do they flow, how dangerous are they, and how important they are within the context of the Social Age. Stories are the mechanism of transmission of cultural and tacit knowledge: they are units of information, heavily contextualised, highly magnetic, almost frictionless, and can be very, very, long lived. If i tell a story, i may own it, right up until the point that i share it, but at that time, it takes wings, and becomes real. 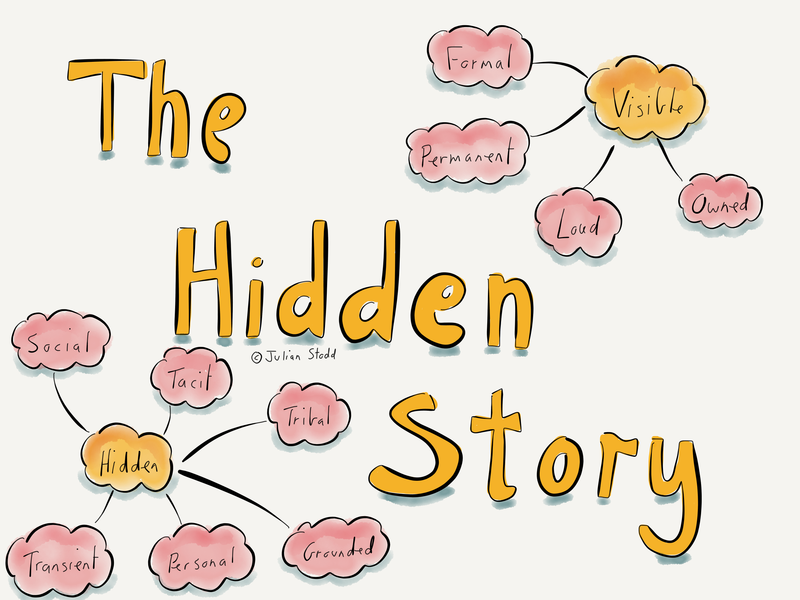 Stories shared are stories relinquished: despite legal frameworks in which we retain ownership of the husk, the germ of truth that resides within a story is let loose through sharing. The essence of it, the ‘story’ itself, is more than simply © words, and trademarked phrases. Stories are meant to flow. Not all stories manage it though: the authenticity, the quality, the relevance, the timeliness, the fit, the alignment with what i know to be true, there are countless factors that can consign a story to purgatory or, worse, forgetfulness. One mechanism of flow is amplification: i read or hear a story, i like it, it resonates with me in some way, so i share it. If my network is strong, if my community trusts me, if i have curated an appropriate reputation, then it may be picked up, amplified, it may flow. Within Social Leadership, i consider ‘storytelling’, and, latterly, ‘story listening’, to be key skills. Because we need to hear the stories that flow through our communities, if we are to be privileged with the tacit knowledge that they contain, and because we need to be great storytellers if we are to share our own wisdom, with humility, to those very communities. This entry was posted in Stories, Storytelling and tagged Authenticity, Communication, Leadership, Social Age, Story, Story Listening, storytelling. Bookmark the permalink.